She also lectures on the LLM International Finance Law. In 2017, she was made a Senior Fellow of the Higher Education Academy and she was nominated for a Vice Chancellor’s Teaching Award. Janice became an academic after a career as a barrister and solicitor in Perth, Western Australia. She was in-house counsel for a publicly listed company and senior associate heading the Intellectual Property department of the commercial law firm Minter Ellison. An academic since 2004, Janice completed her doctorate in 2015 at the University of Nottingham. She was awarded the British Council’s Britain-Australia Chevening Landerer Commercial Law Scholarship in 2003 and is a graduate of McGill University in Montreal, Canada. 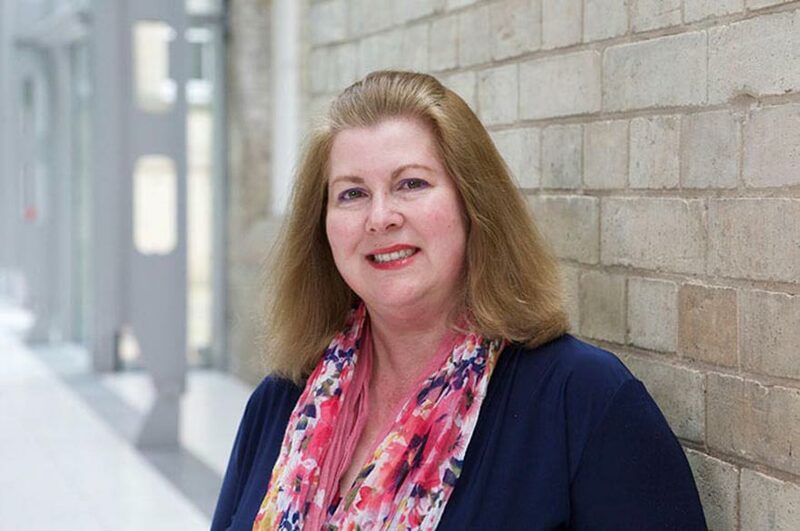 Janice has been the Law School’s Quality Assurance Manager (2008/2009) and was Acting Director of the LLM International & Commercial Law at the University of Buckingham. Janice published her research monograph Intellectual Property, Finance and Corporate Governance (2018) Routledge Taylor Francis ISBN-10: 1138186252, ISBN-13: 978-1138186255. See her guest post about her work on the IP Finance Blog. Janice’s multi-disciplinary areas of expertise include IP, finance and corporate law, IP education, commercialisation, entrepreneurship and business law. Jan was awarded a PhD from the University of Nottingham in 2015 for her thesis Patent-backed Debt Finance: Should Company Law Take the Lead to Provide a True and Fair View of SME's Patent Assets? She is Editor of the peer-reviewed Nottingham Law Journal Volumes 26 and 27. Jan is currently researching her next book, Legal Perspectives on Brexit and Intellectual Property (1st ed.) Routledge Taylor Francis (Series editor Richard Lang, Brighton Business School). Janice supervises LLM and PhD student research in IP, corporate law and data protection law topics. She leads the NLS Intellectual Property Research Group which she founded in 2008. Janice has acted as Independent Assessor, Internal Examiner and is available to act as an External Examiner. In September 2014 Janice presented The Missing Link? Corporate Narrative Reporting of Intellectual Property Assets at the International Association for the Advancement of Research and Teaching in Intellectual Property (ATRIP) 34th Congress 2015 in Cape Town, South Africa. In September 2014 Janice was invited to speak on IP Finance in the EU and Beyond…Does Law Matter? 'Intellectual Property and Venture Capital: The Secrets to Building Innovation Ecosystems' Symposium sponsored by Kyushu University held at the University of Tokyo, Japan. External Examiner Queen Mary University of London, Post Graduate Certificate in IP Law. External Examiner Middlesex University, LLB Progamme. Jan has been sponsored by the UK Intellectual Property Office, the European Patent Office, the Chartered Institute of Patent Attorneys (CIPA), the Institute of Trade Mark Attorneys (ITMA) and Global University Venturing. In addition, Janice is involved in delivering a series of workshops since 2014 entitled Nottingham Creative IP. (2018) Denoncourt, J. Intellectual Property, Finance and Corporate Governance (1st ed.) Routledge Research in IP Monograph Series (Hardcover 224 pages and e-book) Routledge (Taylor Francis Group) ISBN-10: 1138186252, ISBN-13: 978-1138186255. (2016) Denoncourt, J. True and Fair Intellectual Property Information: A Corporate Governance Issue, Journal of Business Law, Issue 1, pp47-72. (2012) Denoncourt, J. Legislation Commentary entitled Impact of the America Invents Act 2011 on the UK: First to File Rules, Nottingham Law Journal, Vol.21 pp133-135. (2005) Denoncourt, J. Chapter 8 Australian Design Law in Sykes, J. (ed) Intellectual Property in Designs - the Modern Law and Practice LexisNexis Butterworths. UK Intellectual Property Office (IPO) Research Report contribution Denoncourt, J and Soetendorp, R. ‘Appendix A IP, Education and Training’ Banking on IP?’ research report (2013) commissioned by the UK Intellectual Property Office and the Department of Business Innovation and Skills at pp 220-221. (2015) Shining a light on China’s Innovation Ecosystem - Innovation and Intellectual Property in China: Strategies, Contexts and Challenges by Shao, K. (Ed.) and Feng, X. (2015) Nottingham Law Journal Vol. 24, pp 167-170. (2014) Financing Technological Innovation, Intellectual Property Rights and the Financing of Technological Innovation: Public Policy and the Efficiency of Capital Markets by Frey, C. B. Nottingham Law Journal Vol. 23, pp161-163. (2012) A roadmap to the archipelago of TRIPS, Interpreting TRIPS by Hiroko Yamane, Journal of Intellectual Property Law and Practice, Vol. 7 No. 9, Oxford University Press, pp 692-693. (2011) Invaluable for trade mark owners, in-house, specialist, and non-specialist trade mark lawyers, Journal of Intellectual Property Law and Practice 6(6): Oxford University Press pp 412-414, ]. (2008) Secured Transactions in Intellectual Property, Denning Law Journal, Vol. 20, No.1.